Perhaps no economist was more vindicated by the global financial crisis than Hyman P. Minsky (1919–1996). Although a handful of economists raised alarms as early as 2000, Minsky’s warnings began a half century earlier, with writings that set out a compelling theory of financial instability. 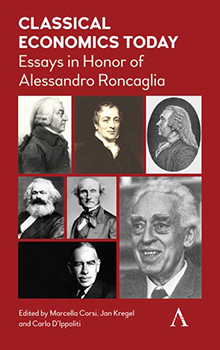 Yet even today he remains largely outside mainstream economics; few people have a good grasp of his writings, and fewer still understand their full importance. Why Minsky Matters makes the maverick economist’s critically valuable insights accessible to general readers for the first time. Author L. Randall Wray shows that by understanding Minsky we will not only see the next crisis coming but we might be able to act quickly enough to prevent it. As Wray explains, Minsky’s most important idea is that “stability is destabilizing”: to the degree that the economy achieves what looks to be robust and stable growth, it is setting up the conditions in which a crash becomes ever more likely. Before the financial crisis, mainstream economists pointed to much evidence that the economy was more stable, but their predictions were completely wrong because they disregarded Minsky’s insight. Wray also introduces Minsky’s significant work on money and banking, poverty and unemployment, and the evolution of capitalism, as well as his proposals for reforming the financial system and promoting economic stability. 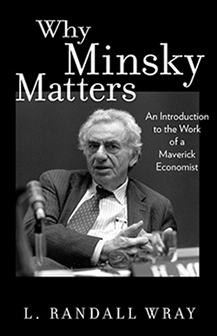 A much-needed introduction to an economist whose ideas are more relevant than ever, Why Minsky Matters is essential reading for anyone who wants to understand why economic crises are becoming more frequent and severe—and what we can do about it.